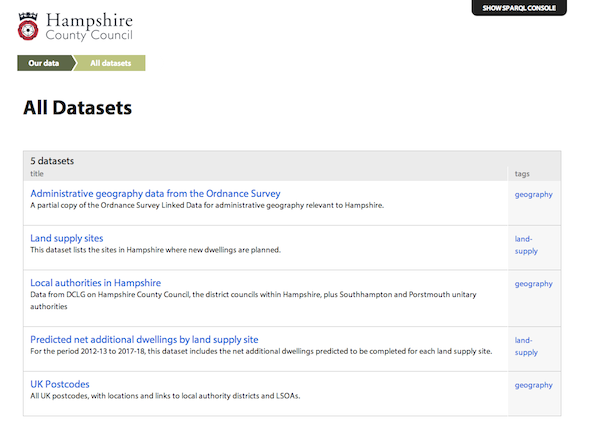 A short time ago we produced a Linked Data site for Hampshire County Council. We modelled their planned home building plans over the next six years as Linked Data and published it through PublishMyData. As an example of what could be done with this data via the APIs, and to help people explore it, we built an embeddable map based visualisation (see below). Working with Hampshire to create this data and visualisation further developed their understanding of Open and Linked Data, which will help inform their future open data initiatives.